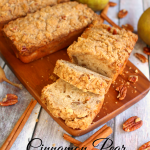 My famous, award winning Banana Bread recipe! The best (and only!) recipe for banana bread you’ll ever need. 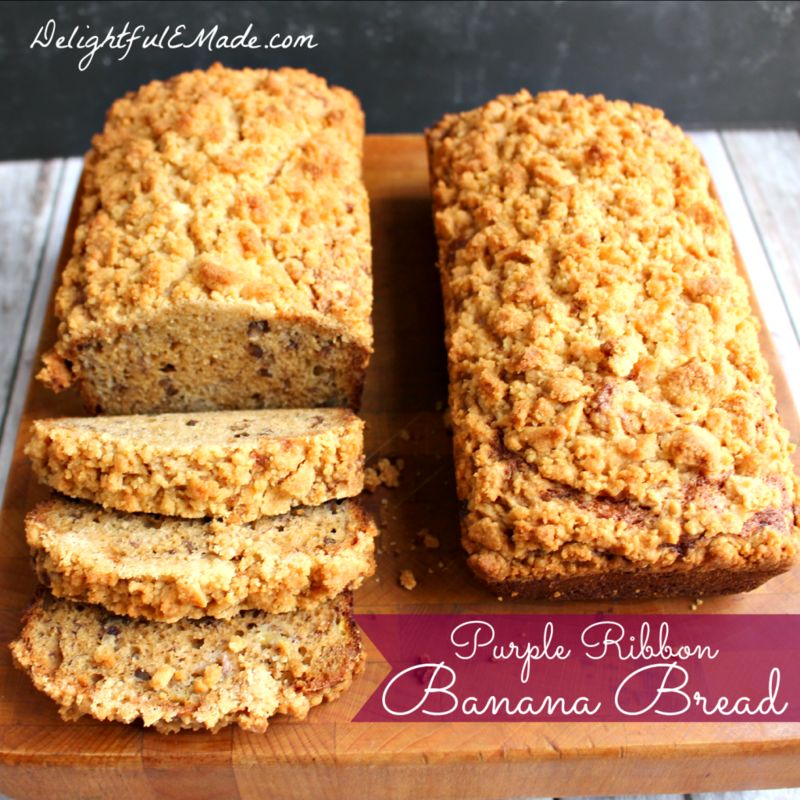 This Purple Ribbon Banana Bread recipe is moist, flavorful and super delicious! 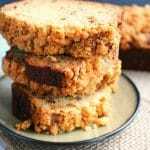 Purple Ribbon Banana Bread – my Award Winning Banana Bread Recipe! If you need a seriously good recipe for banana bread, look no further than my Purple Ribbon Banana Bread. 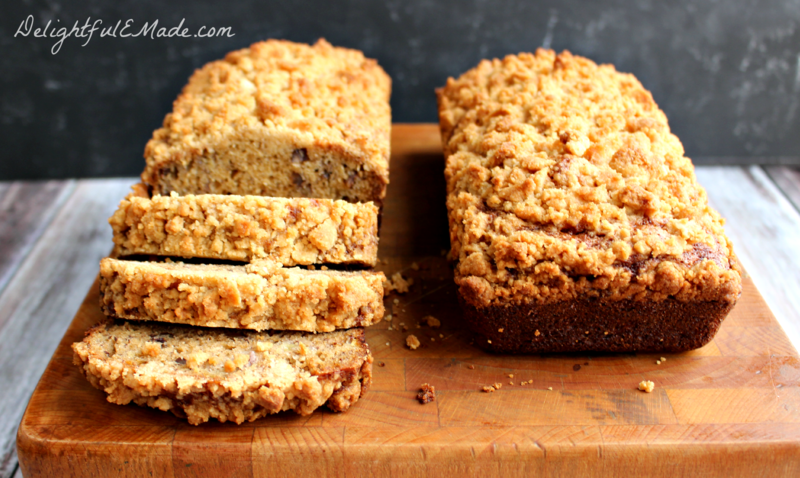 Made with super simple ingredients, and a delicious streusel topping, this award winning banana bread recipe is the only recipe my family makes! If you knew me when I was a kid back in rural South Dakota, you knew that I was heavily involved in 4-H. I was in 4-H from the ages of 8 to around 16 or 17. I can’t even begin to tell you how much 4-H taught me – everything from the basics of cooking and baking, to food safety, horticulture and gardening, sewing,photography, art, and even the basics of dairy cows! 4-H is where I really learned the essentials of cooking and baking. How to measure wet and dry ingredients, how to properly mix ingredients, and how to use an oven and stove. This Purple Ribbon Banana Bread is a recipe that taught me the fundamentals of all of those things. Summer is usually when my brother and I were the most active in 4-H, as this was the time to prepare all of your exhibits for county achievement days. For several years, my mom’s car would be packed full of stuff that we were taking to be judged at Achievement days. 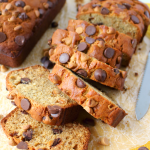 What makes this banana bread so good? 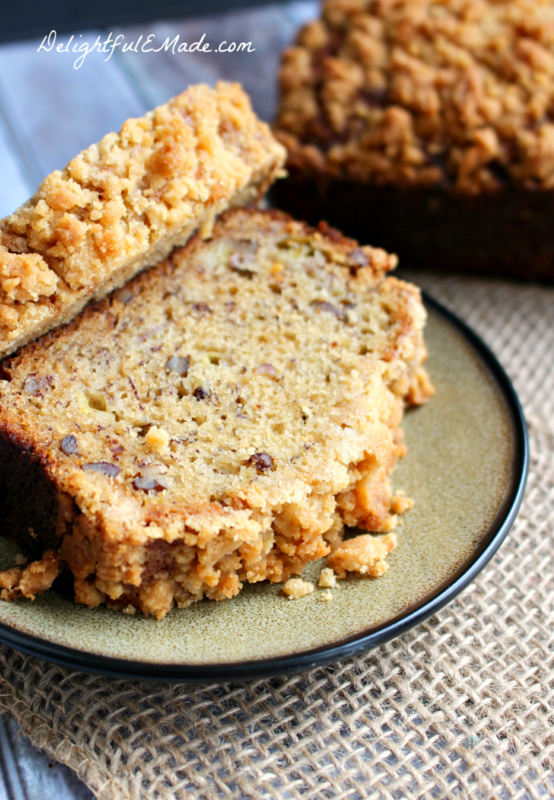 This Banana Bread recipe is moist, delicious and super flavorful! When its baking in the oven, your entire house smells of the most beautiful, sweet delicious aromas you can possibly imagine. 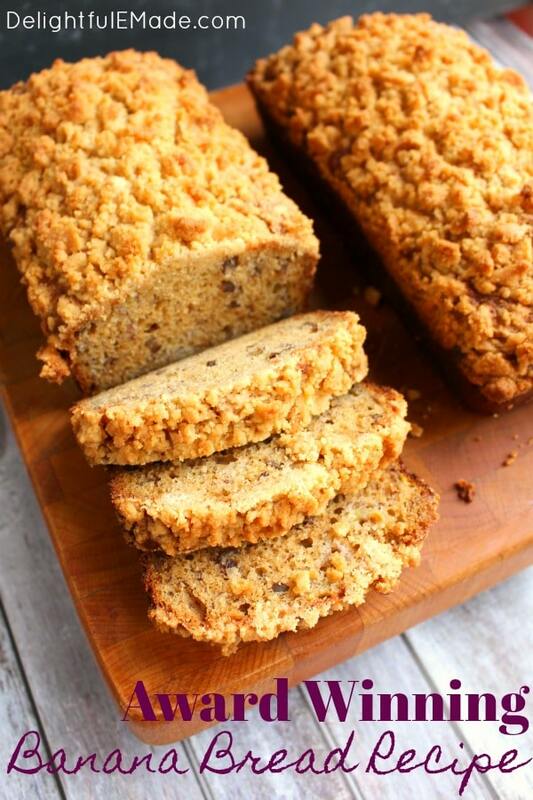 Its topped with a delightful crumble topping which gives in an amazing texture that complements the bread beautifully! The bread itself it not overly dense or heavy – in fact is has a lightness that melts in your mouth! 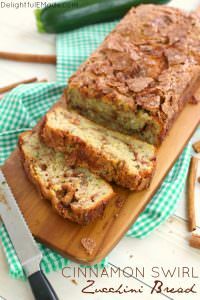 This Award Winning Banana Bread is VERY Easy to make! 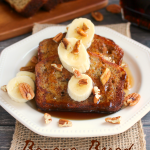 This Award Winning Banana Bread recipe has been in my family for decades! 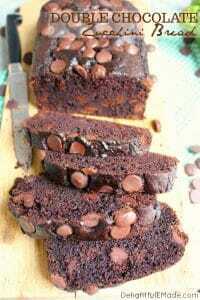 Its a classic, and my dad will even whip up a batch when he’s in the mood. He’s also been known to throw some chocolate chips into the batter on occasion. 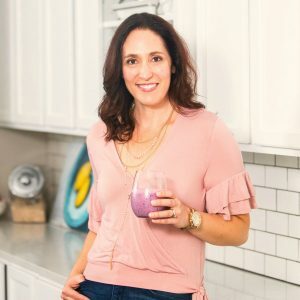 I hope you get to enjoy this recipe with your family – as it has been enjoyed for many years by mine! 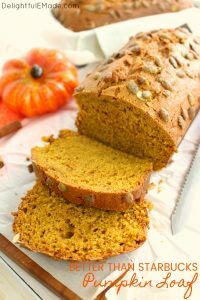 This classic quickbread is easy to make, and tastes amazing! 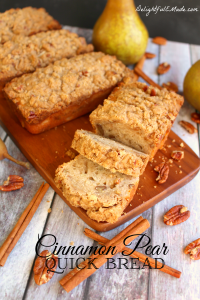 Perfect for a light breakfast, or a snack with coffee or tea. A family classic! Preheat oven to 350 degrees. Line the bottoms of (2) 3 1/2" x 7 1/2" loaf pans with waxed paper. Additionally, spray pans with paper bottoms with nonstick baking spray. Set pans aside. In mixing bowl combine mashed bananas, oil, sugar, and lemon juice. Set aside. In another mixing bowl, combine the flour, baking soda, baking powder, and salt. Gradually add the dry ingredients to the wet mixture. Stir until batter is combined. Lastly, stir in the chopped nuts. Evenly pour the batter into the prepared pans. For the crumb topping: In a bowl, combined the softened butter, brown sugar and flour. Mix with a fork until crumbly. Sprinkle over the batter of each loaf. Bake at 350 degrees for 40-45 minutes or until toothpick inserted comes out clean and free of crumbs. Let cook on rack for 10 minutes before removing from pans. Remember to remove the waxed paper from the bottoms. Slice warm or let cool. 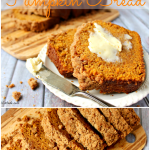 This looks delicious (and easy!) definitely going to pull the bananas out of the freezer to give it a try! 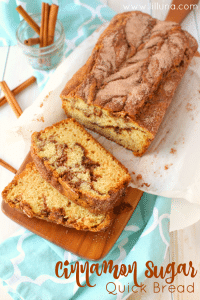 Gorgeous-looking banana bread! 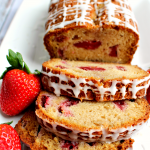 I would so love a few slices this morning with my coffee! pinned. I love that this bread has a crumb topping. And it's award-winning, who can argue with that? :) Pinning to try! Thanks for sharing the recipe. I want to reach through the screen and pick the topping off that bread and eat it! I'm sure the bread is great too! Thanks for sharing on my T.G.I.F. linky party :) Have a great day! Hi Erin! Your banana bread looks delicious! 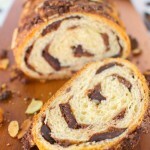 I pinned it to my Blue Ribbon Recipes board on Pinterest found here, https://www.pinterest.com/dorana1/blue-ribbon-recipes/ Thanks so much for sharing your winning recipe! So I just stuck it in the oven but I only had a 5X9 pan so I put it all in there do you think it will be ok? Yes, it should be fine. Be sure to test with a toothpick in the center. When the toothpick comes out clean and crumb-free, it's done. Good luck! where do the eggs come in?